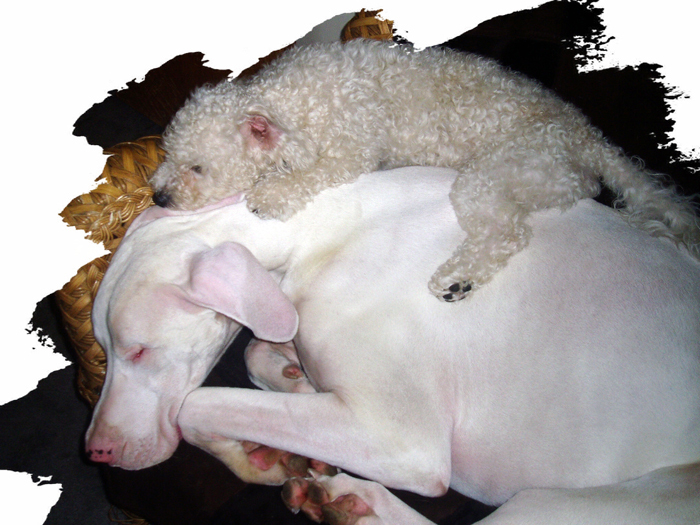 "Bumper" provides a 'Canine Couch' for his little 'sister' "Fifi"
live a productive life. Those people are wrong. Below is a visit at home with "Bumper"
showing how much love and happiness he experiences and shares daily with his family. This is why we save EVERY life! I'm sure with all of the Danes that you see, it's difficult to keep track of them all. 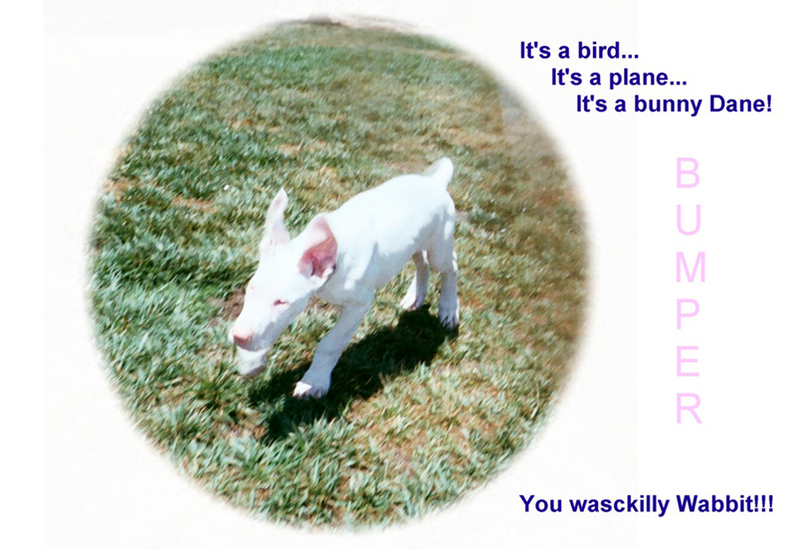 I hope you this enjoy video of "Bumper" - the blind and deaf puppy we adopted from you a little over a year ago. "Tiny" makes a few appearances, too. 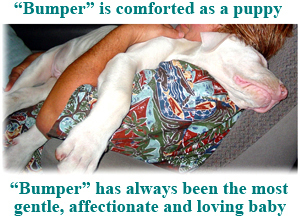 As you will see, "Bumper" has grown into a very handsome and spoiled young lad. He doesn't have a clue that he is "disabled." Within days of us bringing him home, he had mapped out our entire house and yard. (including the refrigerator) or faucet he can't turn on. He is a handful to say the least, and such a blessing to our home!!!!! 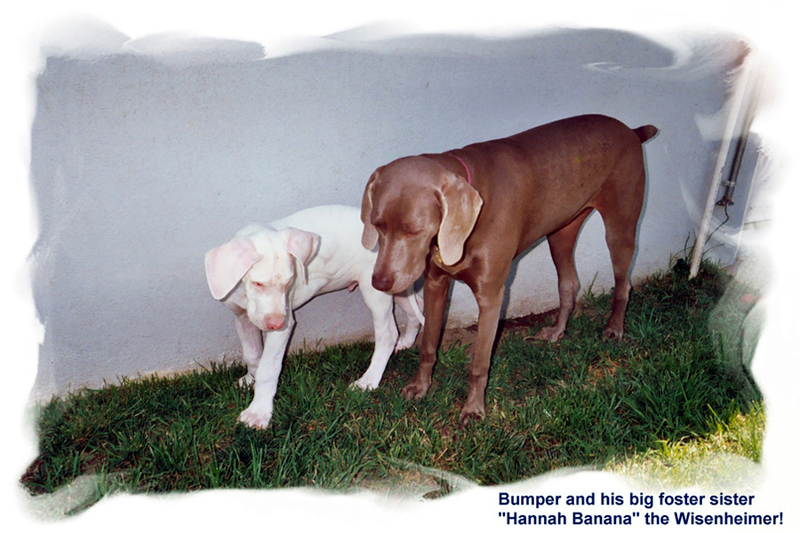 I remember every one of the babies that I adopt and will never forget "Bumper" or "Tiny." I cried watching this video. 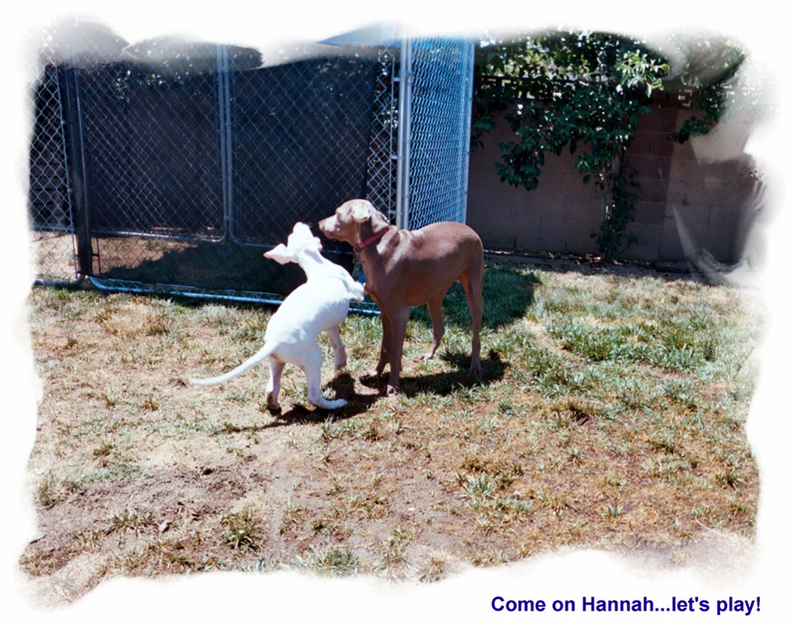 I am so happy that they both have the home that I dream of for all of the dogs that I rescue. "Bumper" is SO incredible, and SO ARE YOU!!!! 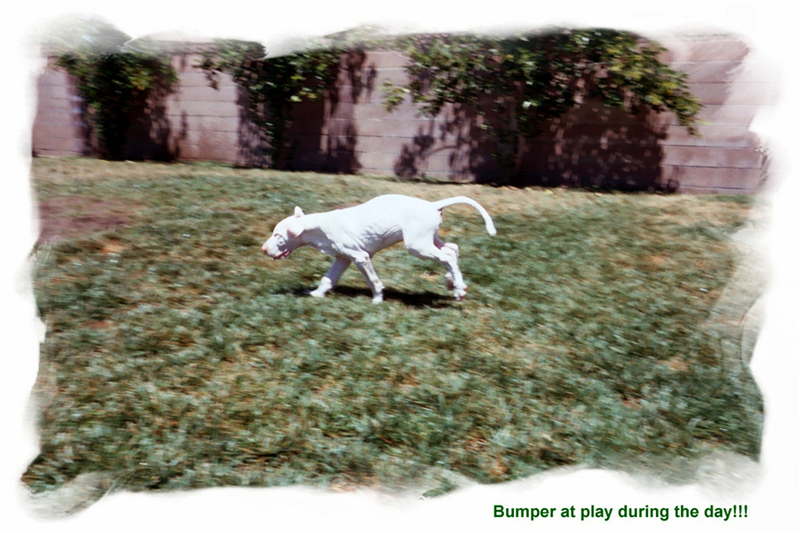 "Bumper" has really gotten HUGE, too! 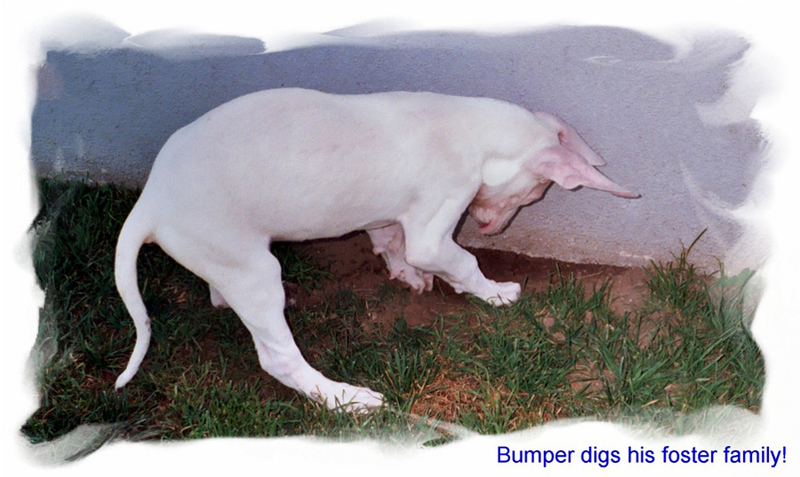 Who is bigger, "Bumper" or "Tiny"? I wish you could adopt ten more, and I hope you may some day. Give them 'Big Jowel Kisses' for me, and always know how very much we love and appreciate you, too. Bumper wants now has a Home! Hi! 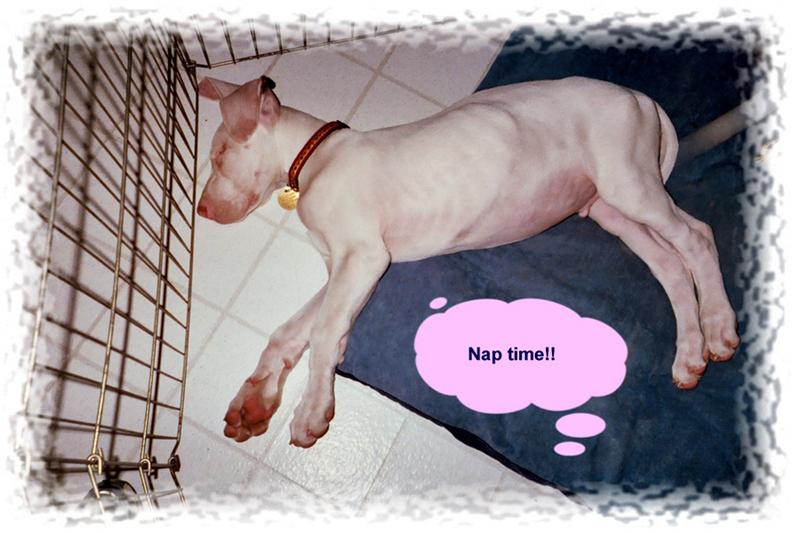 My name is “Bumper” and I am a 12 week old Great Dane. I'm not your normal 'run of the mill' Great Dane. I am extra special. You see, when daddy Burt wasn't looking, I snuck into the Bat Cave and learned lots of neat stuff. I can go in and out of a pet door with no help. I taught myself! I find my food and water using my "Super Hero" special radar. I play with my foster sisters and steal their toys when they aren't looking. I feel sorry for them. 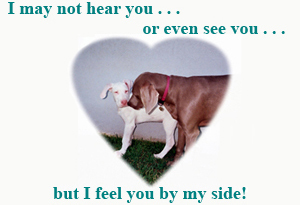 They are special needs doggies that have to rely on sight and sound to know what's going on. I know I should only use my super powers for good, but it's just too much fun playing tricks on the girls. 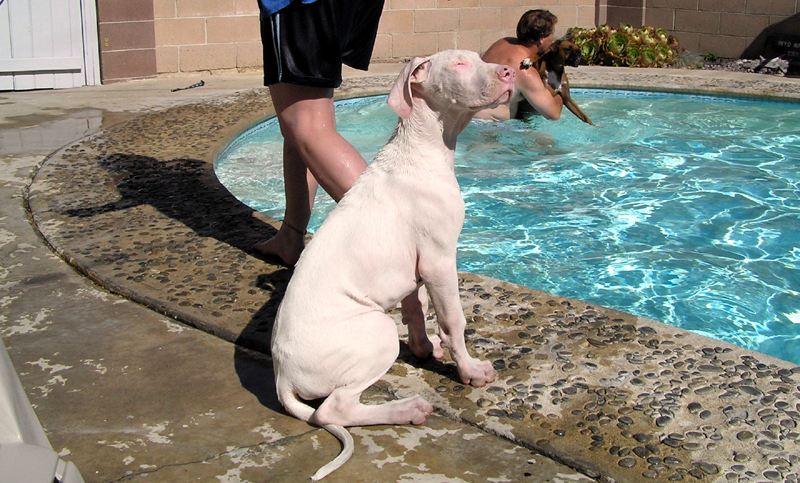 I also use my “Super Hero” radar powers to swim in the pool. I go in with my foster Dad, and as soon as he let's me go, I swim to the steps! I LOVE TO PLAY IN THE WATER! Anyway, I have GREAT NEWS! I am ready to be adopted!!! I love to take showers with humans! I'm awfully cute, very smart, and “Super Duper” special! 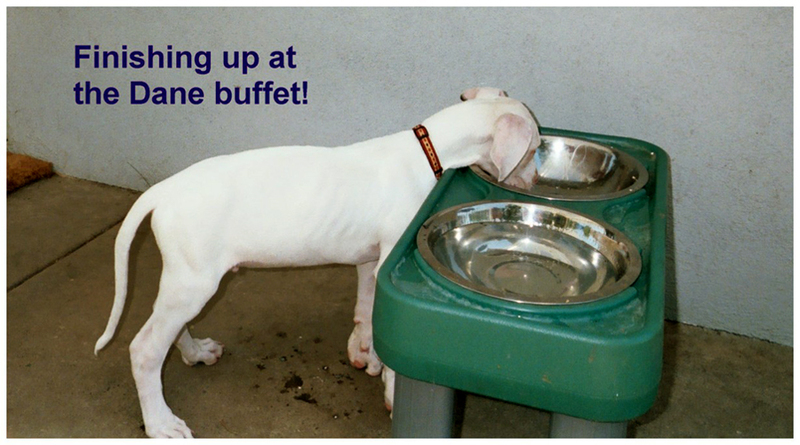 We are starting a photo album for "Bumper" the first 'foster pup' for Gentle Giants Rescue. Here are some photos for the website. I will have a surprise for you soon, but "Bumper" wants me to keep it a secret for now. Hang on for another email with photos. 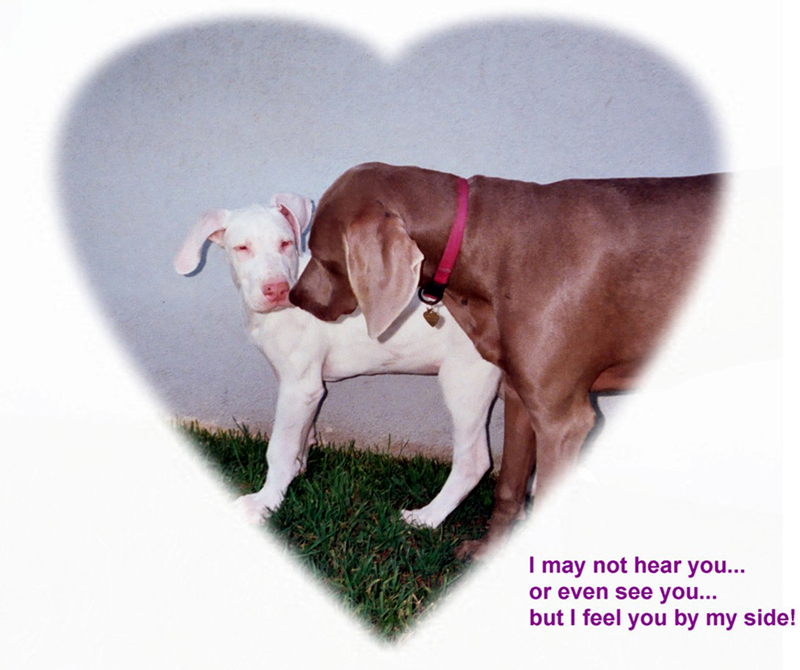 MEET AND ADOPT A BEAUTIFUL BLIND DOG! 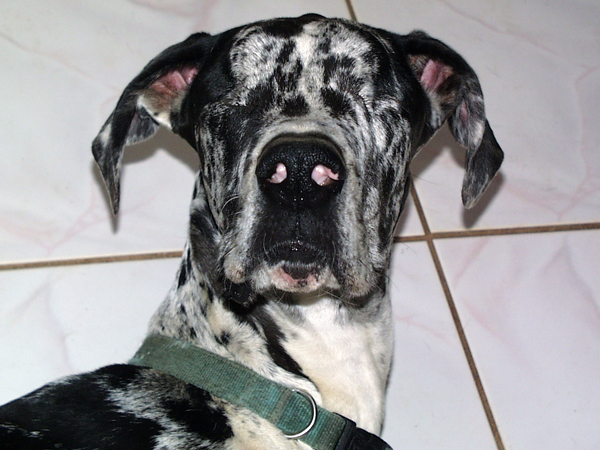 Please Note: Gentle Giants Rescue - Blind Dogs reserves the right to make changes, additions, deletions and/or modifications to its website, documentation, requirements and policies at any time. All such changes, additions, deletions and/or modifications to its website, documentation, requirements and policies may apply retroactively at the discretion of the company. 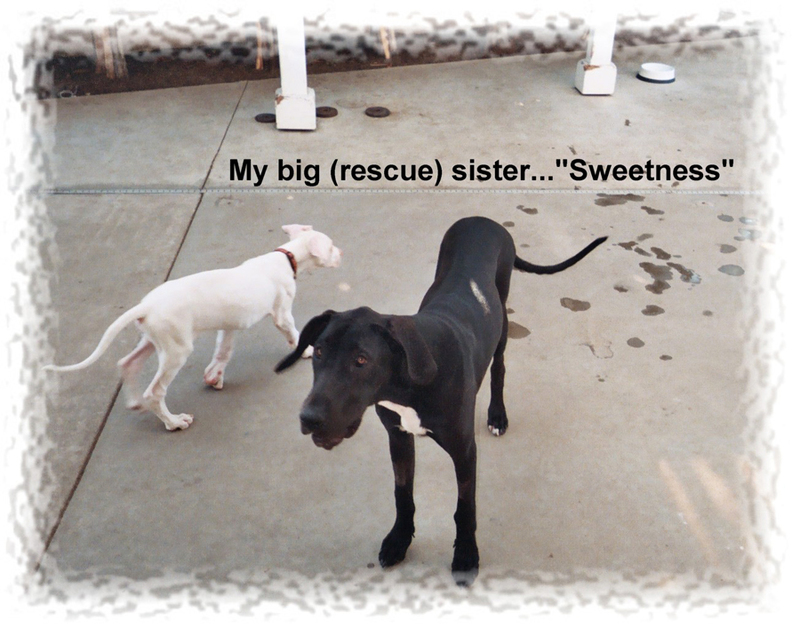 © Copyright 2003-2011 Gentle Giants Rescue - Blind Dogs. All Rights Reserved.